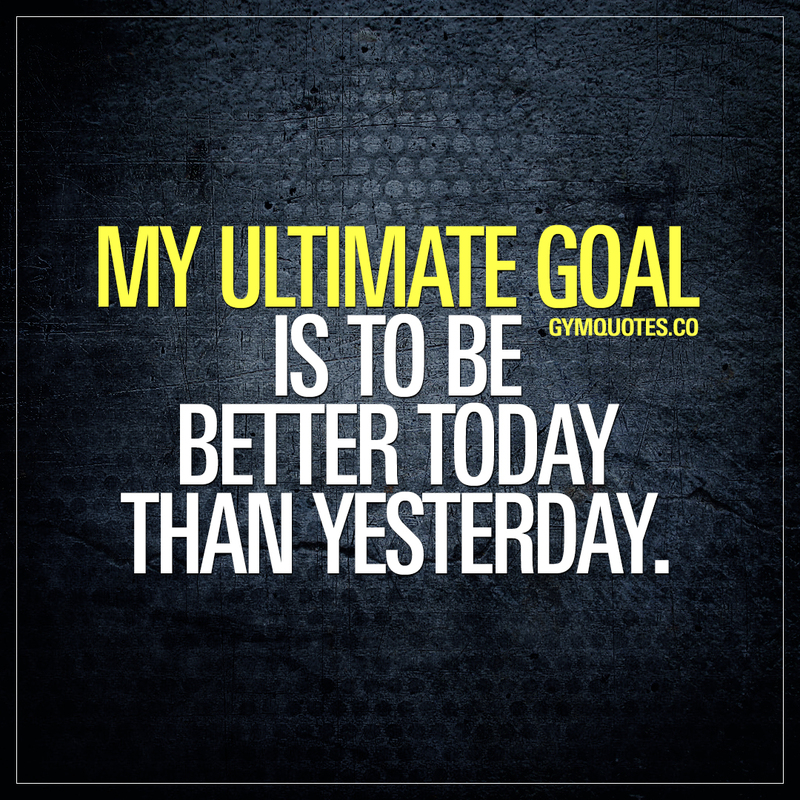 Gym goals quotes: My ultimate goal is to be better today than yesterday. My ultimate goal is to be better today than yesterday. What are your goals when it comes to your training? What are you training hard for every day? In the end, for most of us – it’s all about being better today than yesterday. Regardless if it’s about being stronger, faster, pushing harder on your cardio or lifting heavier than before.. It’s all about being better today than the day before. If your goal is to be better than yesterday, then this is the perfect gym quote for you to share with someone you want to inspire!